John Did Amazing Look at those ABS and Smile!!! Being happy with what you see in the mirror each morning is a positive way to start your day! We all want to be happy. Two major ways to achieve happiness is to have a sense of control and the sense you are making progress. During the 20 weeks that I adhered to the Hitch-Fit program, I can honestly say was one of the happiness periods of my life. 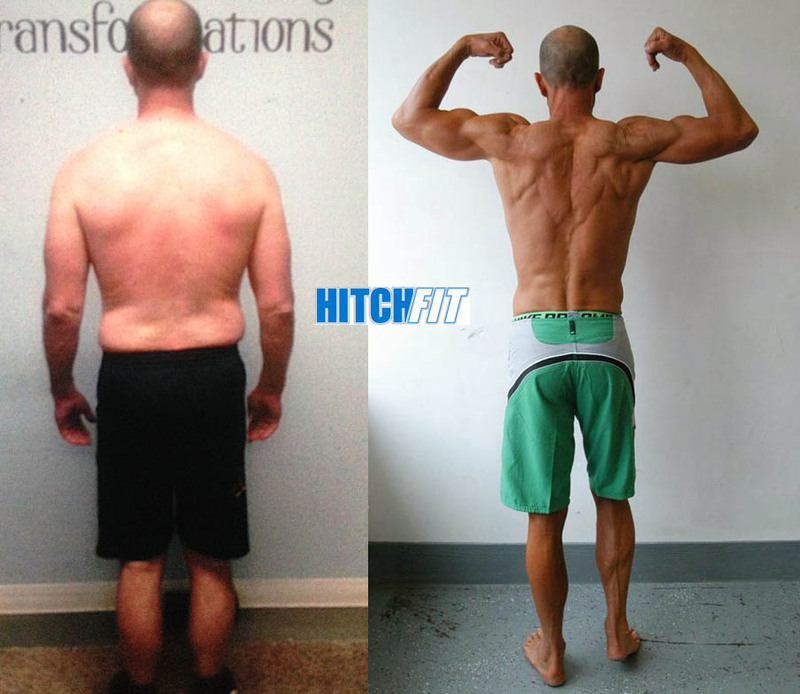 I got control again over my body, and with the help of Hitch-Fit, I made awesome progress. Our body will obey what the mind tells it to do. And like a disobedient toddler, it actually craves for and thrives on a positive, disciplined, and structured environment. We really do have much more control to create the life we want than we give ourselves credit for. By eating clean, tracking your macro’s, and counting your calories, you WILL see progress on the scale. By going to the gym consistently, you WILL see strength gains and changes to your body composition. By having a trainer who you are accountable to and provides encouragement along the way, you WILL do the work. By having a strong vision in your head of a picture of your “best-self” you WILL achieve your goal! 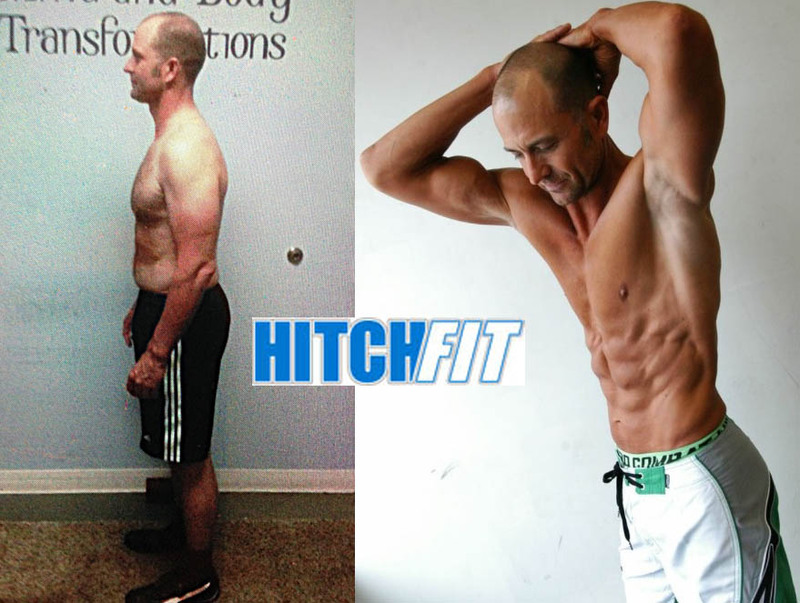 Many thanks to Micah LaCerte for his vision of the Hitch-Fit business model and creating it into reality. He, along with his wife Diana and the entire staff, should be proud of what they have created. We are very fortunate to have this world class resource right here in Kansas City—take advantage of it! There is a very good energy that emanates from Hitch-Fit, as one would expect from a business that helps people achieve their dreams. If you are reading this, I know you are thinking about it – take the leap! The practice of self-discipline has a way of carrying over to other aspects of your life, so don’t be surprised if your friendships, relationships, work, and finances improve as well. Get on the road to self-fulfillment-It’s a fun, rewarding, and scenic highway, and Hitch-Fit would love to have you merge in—Happiness never decreases by being shared! Start working with the website and app “myfitnesspal.com” from the 1st day. This app is the best thing to happen to the fitness industry since iTunes and the iPod. that vision. The mind has incredible control over the body. from the program is how little alcohol needs to be part of my life and how little I miss it. When you fall down, get back on as soon as possible. Never Quit!! My Name is Micah LaCerte. I am a Personal Trainer, Life Coach, Published Author, Professional Fitness Model and WBFF Pro. My #1 goal is to get you in the best shape of your life and find your inner happiness again. 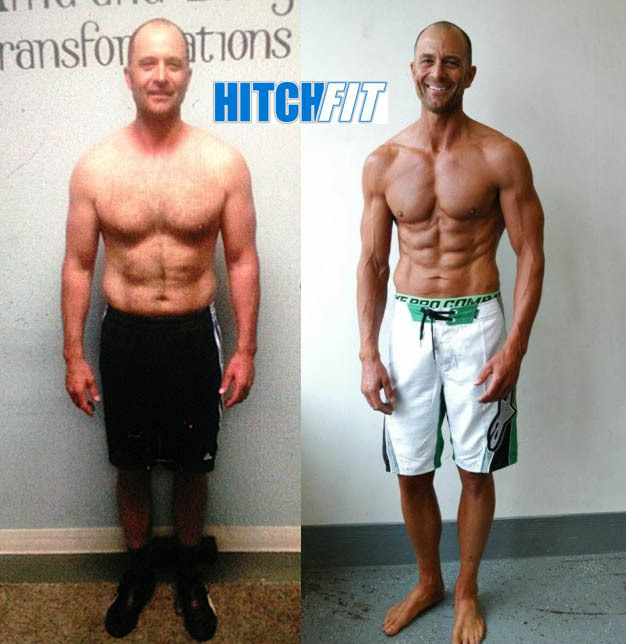 Very inspirational story and results ! Congratulations !